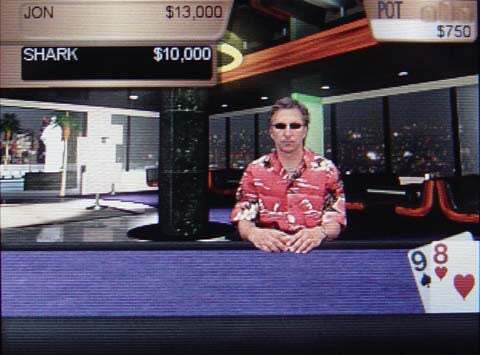 I enjoy watching the pros play Texas Hold ‘Em on TV for huge sums of money and, when the stakes are a little lower, playing the poker game myself with friends. So when Apple introduced Texas Hold ‘Em as one of its nine iPod games, my $4.99 was theirs in a flash. One of the best parts of the game is the realistic characters you play against. Some of them look vaguely familiar, and I always kind of assumed that there were some Apple employees stashed among the stable of opponents. But it wasn’t until I tried out the cheat that lets you jump to any of the seven tournaments that my suspicions were verified. 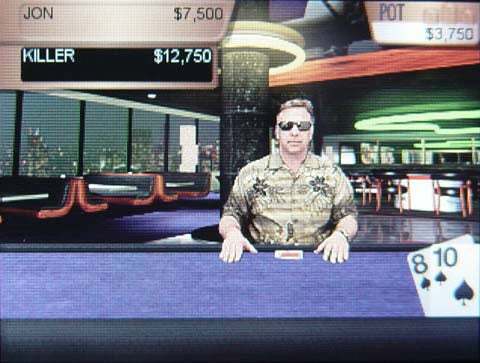 With the fastest Click Wheel in the west, I found myself playing in the final tournament, and I noticed that the player named “Killer” bore a striking resemblance to Phil Schiller, Apple’s senior vice president of worldwide product marketing. Now, Phil Schiller is a pretty familiar face if you’ve ever attended a Macworld Expo keynote or Apple product launch—he usually joins Steve Jobs on stage to help demonstrate whatever hardware or software is being announced. 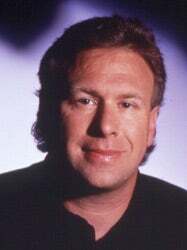 But just in case, you’ve never laid eyes on Phil Schiller before, take a gander at his picture below. Eerie, huh? And that’s not the only Apple executive to have a Texas Hold ’Em stunt double. Behold “Shark,” who bears any uncanny resemblance to vice president of worldwide iPod product marketing Greg Joswiak (a.k.a “Joz”). The Hawaiian shirts and sunglasses may hide their tells, but they definitely don’t hide their identities. And I suspect that there are many Apple employees in the mix as well. So far I’ve only made it to the table two of the four-table tournament, but I’m hoping that the final table includes a face-off with Steve Jobs himself. Now that would be worth going all-in for.